Charles Stewart Todd was born into a life of privilege and unyielding social structure. After studies at the College of William and Mary and Judge Tapping Reeves's law school, he joined the militia to serve in the War of 1812; by the time he mustered out, he was a regular army colonel. He fell in love with and married Letitia Shelby, daughter of Kentucky's first governor, Isaac Shelby. The couple appears to have been happy and both were engaged in their farming operation. Todd also wrote political articles for newspapers. However, during recurring financial crises, he accepted political appointments that required leaving his wife and children behind in Kentucky for years at a time. Todd accepted a position as a United States confidential agent in Colombia and Venezuela, where he fought disease and disaster for four years as local patriots rebelled against Spanish rule. He spent six years as ambassador to St. Petersburg, Russia, during the reign of Czar Nicholas I, and later worked in Texas for the burgeoning railroad industry. Todd's political connections ran deep and included his governor father-in-law, statesman and presidential candidate Henry Clay, President William Henry Harrison (for whom Todd had managed the "Tippecanoe and Tyler Too" campaign), and President Zachary Taylor, whom Todd had also backed. Through military service, international and domestic travel, vast wealth and crippling debt, political successes and failures, Todd's life reflects a turbulent time in America. During his life, social and class distinctions were upended, new lands were opened to settlement, and the Civil War ended slavery and the plantation lifestyle to which Todd had been born. This biography explores the evolution of a patriotic Whig gentleman into a champion of the cultural and industrial revolutions in 19th-century America. 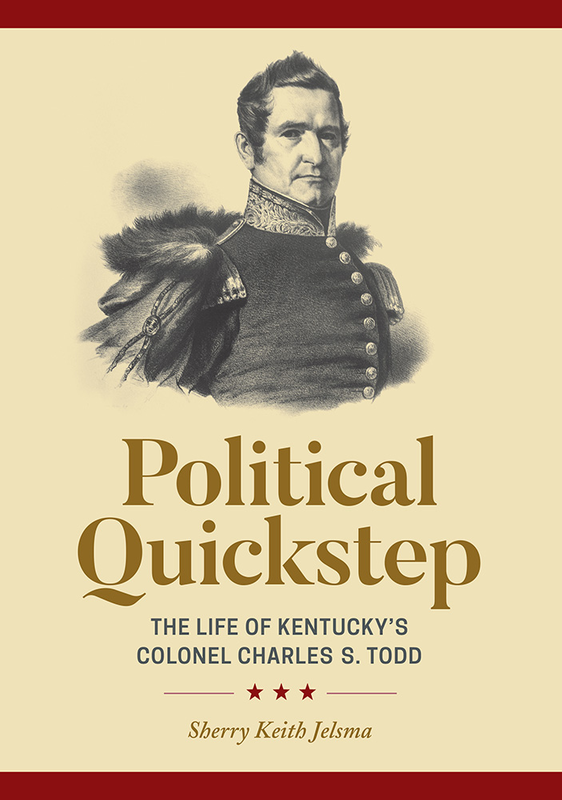 Charles S. Todd's life of military service, international and domestic travel, vast wealth and crippling debt, political successes and failures reflects a turbulent period in US history. It was a time when social and class distinctions were upended, new lands were opened to settlement, and the Civil War ended slavery and the plantation lifestyle to which Todd had been born. After Sherry Jelsma and her husband began restoration in 1983, she began researching the home's original owners and quickly became intrigued with Todd. The author conducted extensive research on his life, including traveling to St. Petersburg, where Todd had served as ambassador to Russia during the reign of Czar Nicholas I. "The issues that Todd faced are still with us today," said Jelsma. "Prejudice, war, politics, and the desire for land and money continue to tear us apart. Love of family, friendships, and literature endure." In this compelling and carefully researched biography, Jelsma has deftly captured the life of Charles S. Todd and his important contribution to American history. Sherry Keith Jelsma, granddaughter of historian Dr. Henry Noble Sherwood, grew up with history. She earned a bachelor of arts with honors from Harvard/Radcliffe College and an MA from New York University. Jelsma taught at public schools in Louisville, Baltimore, and New York City. Elected to the Jefferson County, Kentucky, board of education for three terms (twice as chair), she resigned to serve a four-year term as secretary of the Kentucky Cabinet of Education, Arts, and Humanities. The author and her husband, Dr. Lawrence Jelsma, purchased and began restoring the disintegrating brick home of Colonel Charles S. Todd and his wife, Letitia Shelby Todd, in 1983. They now live in the house on the Shelby County land given to Letitia by her father, former Kentucky governor Isaac Shelby, who received it from Patrick Henry in payment for service in the Revolutionary War. 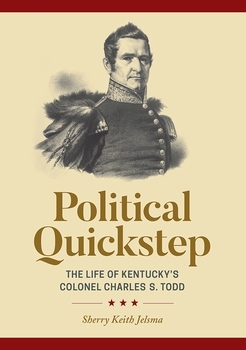 In Kentucky's capital, Frankfort, Jelsma worked with historians Dr. Thomas D. Clark and Dr. James Klotter, who encouraged her to continue research on Colonel Todd, and her book project was born.